The Bumble dating app is similar to Tinder. The major difference is that women have all the control when it comes to starting the conversation. This is to help cut down on the number of unsavory messages that women get every day on other dating apps. If you are one of the guys who think that ‘Hey, nice rack’ or anything similar will get you a date, the Bumble dating app is not really an app for you. Bumble app is a great option for women who are sick and tired of receiving messages from men that are unsavory, at best. For men, the app is a little different because they cannot send a message until the woman starts the conversation. This needs to be done within 24 hours, or that match is lost. Bumble is very similar to Tinder in the way that you search. You can search matches by gender, age, and distance. You can upload six photos and create an About Me page. The Bumble dating app is a great option for women who are tired of being overwhelmed by messages that are unwanted. Women are the only ones who can initiate the contact, so this means that is easier to find people with the same interests. According to Bumble’s founders, there is a 60 percent match rate that actually ends up in a conversation. Surprisingly over 55 percent of the users are male. Creating up an account only takes a few minutes. However, you only have 300 characters for your bio, and you can only have 6 pictures to show off with. The ‘BeeLine’ feature helps users find people who have already liked you, so this helps with matches. This is a feature that you have to pay for, but it is very useful. Men have some problems with the Bumble app because they cannot send messages until they receive a message from the women. There is a limited time to initiate contact, so this means that if there is no message sent in the initial 24 hour period, the match is lost. However, you can extend the deadline if you are a paid member. 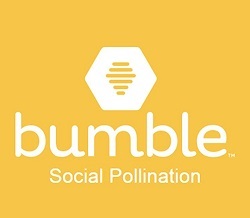 The Bumble App is free to install. There are upgraded accounts that you can pay for. These plans start as $9.99 per month, and there are 3 and 6-month subscription plans. Should You Use the Bumble App? The Bumble App is not for everyone, especially people who do not like the other person to make the first move. However, if you can stand this, you may be surprised at how many messages that you get. Sometimes, it can be nice to not have the responsibility of making the first move, and you do not need to come up with ice breakers.